Take a culinary tour of the Big Easy with these New Orleans favorites, including bananas foster, gumbo, and crawfish étouffée. 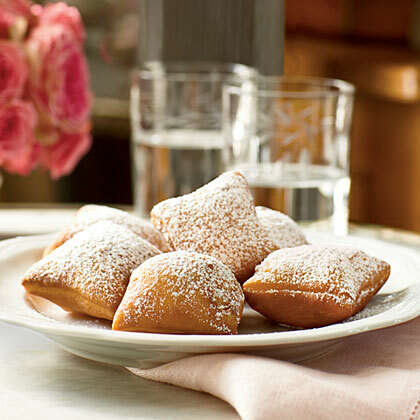 The Calas Women, as they were called, peddled these hot breakfast fritters--whose name comes from the African word "kárá"--each morning in the French Quarter. The street vendors have vanished, so we honor them here with a classic rice-dough recipe too delicious to ever disappear. 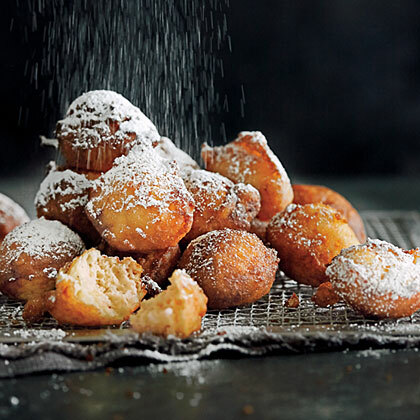 Have the flavor of the Big Easy in these sweet, New Orleans Beignets. 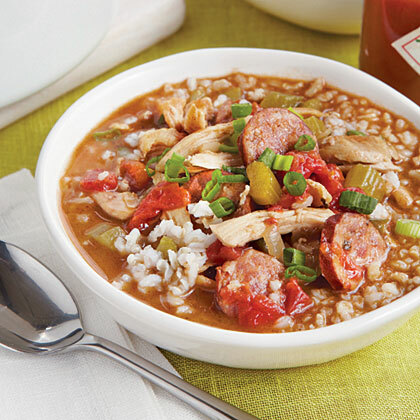 New Orleans is called "The Big Easy," so enjoy the flavors of the city with these Dinner Tonight recipes that are ready in less than 45 minutes. 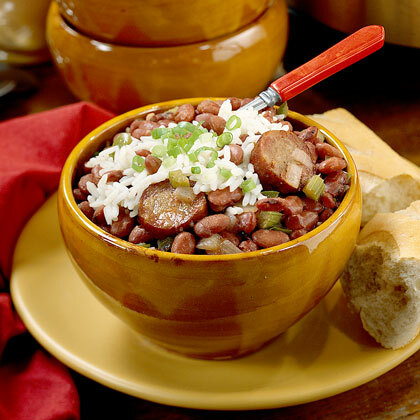 In New Orleans, red beans and rice are traditionally served on Mondays because the dish uses up leftover Sunday ham. Grace Parisi likes making the recipe any day of the week, and she replaces the ham with smoky bacon. 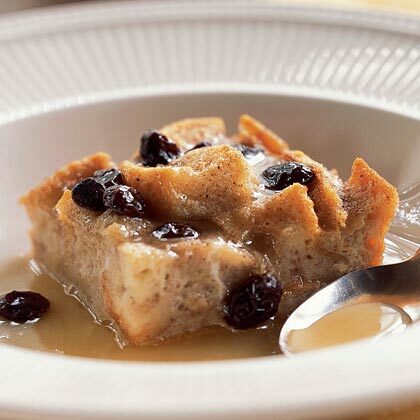 Enjoy the best of the Big Easy with this traditional New Orleans-style bread pudding. It tastes so decadent, no one will believe it's been lightened! 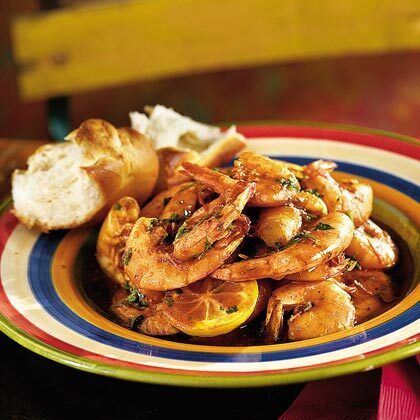 See our full collection of Cajun and Creole recipes for more ideas. In honor of the city that loves and lives to eat, we bring you recipes for po'boys, beignets, gumbo, fried oysters, and étoufée. 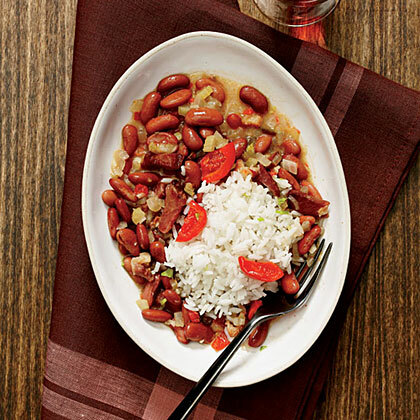 Bring home the flavors of the French Quarter with this simple dish. Onion, celery, and green bell pepper are used so often in Louisiana that locals call them "the trinity." Here, they're combined with another local staple: okra.